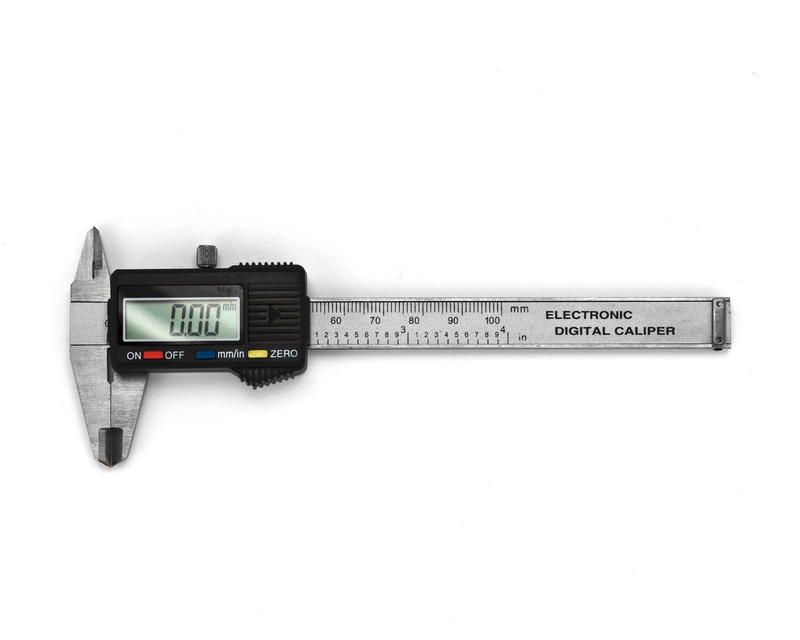 Digital caliper. Steel with fixation screw. 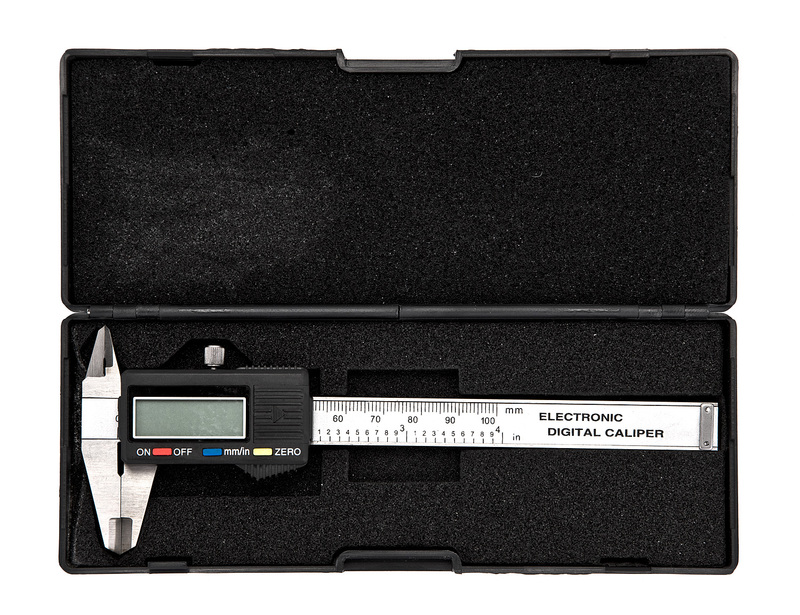 Easy to take with in a tool pouch. 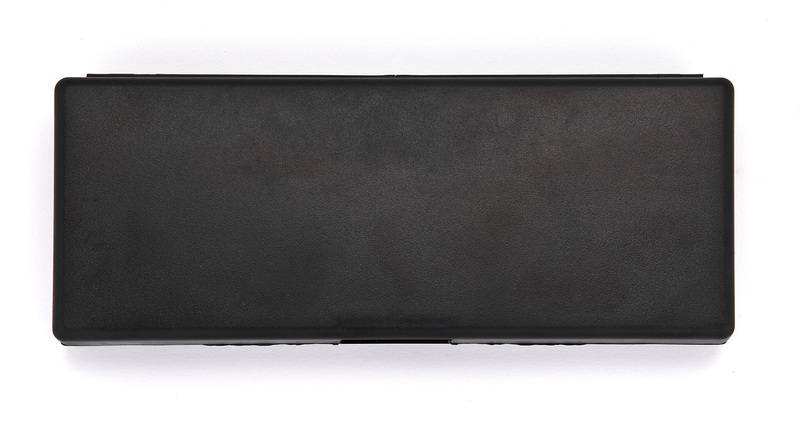 It comes with a black plastic case.